I have to travel a lot for business; not always have the opportunity to use my camera as much as I would like during this trips. However, in some occasions I'm lucky enough to get some great photograph to share with you. For a few years, I took the same trip by car and a few months ago, I saw a small chapel not far from the road. I happened to drive by this chapel with my camera and a day with nice weather, so I decided to stop and take a few photographs. 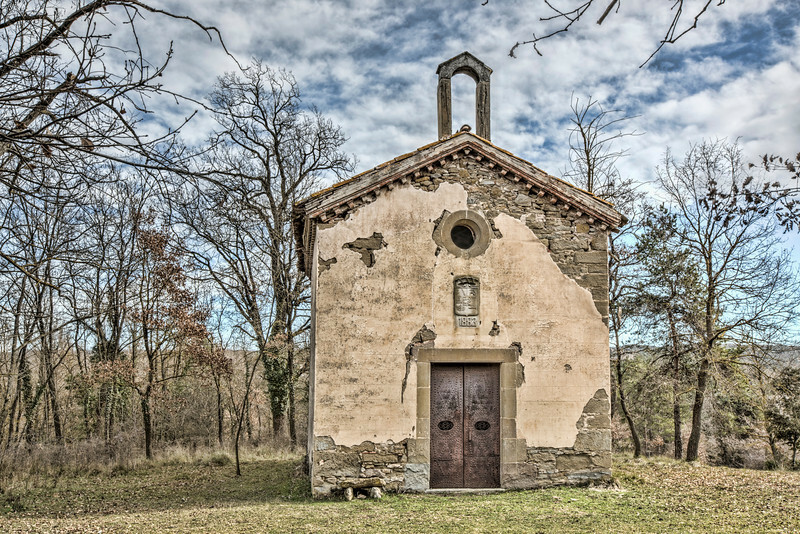 The Chapel is located in Castellterçol. It was constructed in honor of Saint Gaietà, the patron of the local ice industry that provided ice to Barcelona between the 17th and 19th centuries.